Draft: 2006, Seattle Mariners, 2nd rd. Originally selected by Seattle in the second round (No. 49 overall) of the 2006 First-Year Player Draft... Graduated from Fountain Valley High School (CA)...Married, wife's name is Christina...The couple has a daughter, Charlotte... Participates in the BARCS Pet Calendar and regularly supports local military families by meeting with local groups before games. Started 19 games and made five relief appearances, going 0-0 with a 4.70 ERA (4 ER/7.2 IP), three walks and five strikeouts...His first career relief appearance was on 8/13 at OAK when he tossed 1.1 innings, allowing no runs or hits with two strikeouts...Ranks tied for 12 th place with Sidney Ponson on the Orioles all-time wins list (since 1954) with 73 career victories...Made 14 starts at home and went 1-4 with a 6.58 ERA (48 ER/65.2 IP), 38 walks, and 36 strikeouts...Made 10 appearances (five starts) on the road, going 0-3 with a 10.87 ERA (33 ER/27.1 IP)...Opponents hit .400 (50-for-125) with seven home runs on the road...His start on 6/10 at NYY was the fifth road start of his career which he lasted 1.1 innings or less...Allowed 20 runs in the first inning (9.47 ERA) and issued an inning-high 14 walks and eight home runs in the first inning... Opponents hit .333 (26-for-78) with a .435 OBP and .679 slugging percentage in the first frame...Allowed an average of .329 (54-for-164) with an OBP of .458, and slugging percentage of .543 to left-handed hitters...His OBP allowed against lefties was the highest in the majors and the batting average was seventh-highest...Was activated from the 10-day disabled list (right shoulder bursitis) prior to 5/7 vs. CWS...Was also placed on the DL on 4/2 (retroactive to 3/30)...He missed all of Spring Training with the injury...Made four rehab starts with Class A-Advanced Frederick (one start), Double-A Bowie (two starts), and Triple-A Norfolk (one start), going 0-3 with a 7.16 ERA (13 ER/16.1 IP). Made at least 30 starts and won 10 or more games for the fourth straight season (since 2013)...Placed on the 15-day disabled list from 8/24-9/11 (retroactive to 8/21) with right shoulder bursitis...Reached 1,000 career innings during his 8/11 start at OAK, becoming the 14th Orioles pitcher (since 1954) to do so...Currently ranks 13th on the Orioles all-time wins list with 72 career victories, trailing RHP Sidney Ponson (73)...On 4/4 vs. MIN (Opening Day), made his 150th career start, becoming the 14th Orioles pitcher to accomplish the feat...Posted the seventh-highest winning percentage (.727) among qualifying AL pitchers (min. 15 decisions)...Posted a career-high, nine-game winning streak from 4/27-6/19...Went 9-0 with a 2.78 ERA (22 ER/71.1 IP) over 11 outings (eight Quality Starts) in that span...The Orioles went 10-1 in those games during the streak...His career-high tying 16 wins tied for sixth in the American League...The Orioles went 22-8 in games in which he pitched...Posted a career-high seven consecutive Quality Starts from 4/21-5/24...In those seven outings, he went 5-0 with a 1.94 ERA (10 ER/46.1 IP) and 47 strikeouts...He held opponents to a .182 batting average and tossed at least 100 pitches in each outing during that span...His 1.94 ERA in that span ranked third among qualifying AL pitchers (min. 30.2 IP)...Went 7-1 with a 3.49 ERA (31 ER/80.0 IP) and 71 strikeouts in 14 outings (six Quality Starts) against the AL East...The Orioles went 12-2 in those 14 starts...The Orioles went 11-0 in his frst 11 starts against AL East opponents from 4.8-7.31...According to STATS, LLC., no other pitcher (since 1969) has had his team go 10-0 or better in his starts against an AL division in a season...Went 7-0 with a 3.12 ERA (18 ER.52.0 IP), 45 strikeouts, and fve Quality Starts in nine daytime games...The Orioles went 9-0 in those contests...Went 9-1 with a 2.87 ERA in his frst 14 starts of the season...According to the Elias Sports Bureau, only three other Orioles pitchers over the last 25 years won nine or more of their frst 14 starts of a season with an ERA that low. RHP Mike Mussina iN 1994 (9-3, 2.73), LHP Jimmy Key in 1997 (11-1, 2.47) and Tillman in 2012 (9-2, 2.78)...From 9/12/15-7/10/16, he went 9-0 with a 3.39 ERA (33 ER/87.2 IP) in 15 outings (eight Quality Starts) at Oriole Park...The Orioles went 13-2 in those 15 games...Went 8-3 with a 4.61 ERA (43 ER/84.0 IP) in 16 home starts (seven Quality Starts)...The Orioles went 12-4 in Tillman's 16 home outings...According to STATS, LLC., he became the frst pitcher in the majors whose team started 10-0 or better in his home starts in 2016...Went 8-3 with a 2.97 ERA (29 ER/88.0 IP) in 14 road starts (nine Quality Starts)...Was the Orioles starting pitcher in the AL Wild Card Game at TOR...He did not factor in the decision (4.1 IP, 4 H, 2 ER, 1 BB, 4 K, 1 HR) and surrendered a solo home run to José Bautista in the bottom of the second inning. Tied for the ML lead with a career-high 34 starts, also posting a career-high 207.1 IP and 21 Quality Starts...Has recorded consecutive 200-inning seasons, the 1st Oriole to do that since Jeremy Guthrie turned in three straight, 2009-11...His 38 wins since 2012 are T-11th in the AL and his 3.42 ERA in that time is 15th...Has allowed a total of two stolen bases since the beginning of 2013, tied for the fewest in the majors in the last two seasons (min. 200 IP)...Opposing runners are just 2-for-13 (84.6% caught) attempting to steal against him in that time...Made his 1st career Opening Day start, March 31 vs. BOS (ND, 5.0IP, 7H, ER, BB, 4K, HR)...Posted a 2.54 ERA (113.1IP, 32ER) in 18 starts at OPACY, the 2nd-best single-season mark in park history (Bud Norris, 2.44 also in 2014)...Allowed 3ER or less in 20 straight starts, June 10-September 20, tied for the 2nd-longest streak in club history with Steve Barber (1965-66)...Pitched to a 2.21 ERA (130.1IP, 32ER) over those 20 starts...Went 6-1 with a 2.33 ERA (89.0IP, 23ER) in 14 starts after the All-Star break...Finished the season tied for the 2nd-best single-season road winning percentage by an Oriole (.889; 8-1)...Went undefeated in his first 15 road starts of the season until taking the loss on September 26 @TOR...Posted his 1st career CG SHO, May 16 @KC (5H, BB, 3K)...Struck out career-high tying 9, August 19 @CWS (8.0IP, 3H, ER, BB, HR)...Pitched 5.0 innings or more in 31 of his 34 starts (1.0IP on May 21 @PIT and June 5 @TEX and 4.2IP on May 1 vs. PIT (G2))...Allowed 21 runs in the 1st inning, his most in any frame (17 in the 2nd, 14 in the 3rd, 10 in the 4th, 8 in the 5th, 6 in the 6th, and 3 in the 7th)...Posted a 2.71 ERA (176.1IP, 53ER) in 28 starts vs. the AL, ranking 4th in baseball in ERA vs. the AL (min. 25 GS)...Went 3-0 with a 0.89 ERA (30.1IP, 3ER) in four starts vs. the AL Central...Made his 100th career start, earning the win on June 22 @NYY (7.0 scoreless IP)...Earned the win in ALDS Game 1 (5.0IP, 4H, 2ER, BB, 6K), his first career postseason start...Started ALCS Game 1, but did not receive a decision (4.1IP, 7H, 5ER, 2BB, 3K). Named to his 1st career All-Star Team, going 11-3 with a 3.95 ERA (111.2IP, 49ER) in 19 starts before the break (DNP in game)... Was the first Oriole pitcher to be named to the All-Star team since George Sherrill in 2008 and was the first Oriole starting pitcher to make the team since Mike Mussina in 1999... Won 16 games after winning a total of 16 in his first four seasons combined... Made 12 starts with seven or more strikeouts, the most by an Oriole since Erik Bedard in 2007 (20)... The Orioles won 13 of his 14 starts from May 24-August 9 (he was 11-1)... With his 13th win on July 26 against Boston, improved his record to 13-3, making him the first Oriole pitcher to be 10+ games over .500 at any point in the season since Mike Mussina in 1999... Had a career-high seven-game winning streak from May 24-June 30, going 7-0 with a 3.86 ERA (46.2IP, 20ER) over eight starts... Became the first Oriole to win 16 since Mike Mussina won 18 in 1999... Was the first Oriole to win 15 or more games before September since Mike Mussina in 1999... Struck out eight or more in seven of his last 13 starts from July 26 through the end of the season... Struck out a career-high nine on August 9 @SF and matched it August 24 vs. OAK, September 9 vs. NYY and September 24 vs. TOR... Was 8-3 with a 4.03 ERA (109.1IP, 49ER) and 12 Quality Starts at home and 8-4 with a 3.34 ERA (97.0IP, 36ER) and nine QS on the road... All three home losses were to Tampa Bay... Recorded eight road wins, tied for sixth-most in the AL... Since the start of the 2000 season, only two Orioles pitchers recorded more road wins in a season: Daniel Cabrera (nine in 2004) and Rodrigo Lopez (nine in 2005)... Allowed 24 of his 33 home runs at home... Became the fifth Oriole pitcher since 2001 to work 200 or more innings in a season, joining Sidney Ponson (2004), Rodrigo Lopez (2005), Daniel Cabrera (2007) and Jeremy Guthrie (2009-11)... 200+ innings marked the 112th 200+ inning season in club history... Became the fifth right-hander in club history to win 16 or more games and strikeout 179 or more in a season, joining Jim Palmer (five, 1970-72, 1975, 1977), Mike Mussina (1996), Pat Dobson (1971) and Scott Erickson (1998)... Over his last 22 starts (since June 4), went 12-5 with a 3.46 ERA (143.0IP, 55ER) and 15 Quality Starts and 25 of the 56 runs he has allowed in those 22 starts scored on homers (13 solo and six two-run shots)... In a span of 17 starts against non-AL East foes from August 16, 2012 through August 29, 2013, Tillman did not lose a decision, going 4-0 in five starts against the AL Central, 7-0 in eight starts against the AL West and did not have a decision against the NL in four starts (the streak was snapped at Cleveland September 3)...The streak was the longest in Orioles history dating back to 1969... Won six straight home starts from June 14-August 2 and since 1980, only Steve Stone (eight from June 17-August 14, 1980) and Mike Mussina (seven from May 7-July 3, 1995) won more consecutive games at home for the O's. Had two stints with the O's, beginning of the season-May 29, July 30 and August 6-11 ... Went 3-5 with a 5.52 ERA (62.0IP, 38ER) in 13 starts for the Orioles ... Tossed 6.0 no-hit innings (3BB, 5K) in first start of the season, April 2 @TB (ND) ... Was 2-3 with a 4.69 ERA (48.0IP, 25ER) in his first 10 starts, April 2-May 27 ... Struck out season-high six in 4.1IP, July 30 (G1) @NYY ... Pitched season-high 7.0 innings, allowing two earned runs and earning victory vs. TOR, August 6 ... Made 15 starts for Triple-A Norfolk, going 3-6 with a 5.19 ERA (76.1IP, 44ER) ... Pitched to a 4.01 ERA (67.1IP, 30ER) in 13 night games and a 14.00 ERA (9.0IP, 14ER) in two day games ... Was 3-2 with a 4.30 ERA (37.2IP, 18ER) before the AAA All-Star break and 0-4 with a 6.05 ERA (38.2IP, 26ER) in the second half ... Struck out season-high 11, August 17 vs. Charlotte. Had three stints in the big leagues (May 29-June 22, July 10-20 and September 5-end of season)...Began the season withTriple-A Norfolk and went 5-4 with a 3.12 ERA (57.2IP, 20ER) in 10 starts (walked 12 and struck out 47)...Fired a nine-inningno-hitter for Norfolk April 28 at Gwinnett (Braves) as he walked one and struck out six...It was the first nine-inning no-hitter by anOrioles Triple-A farmhand since April 20, 1974, when Rochester's Wayne Garland no-hit Charleston in a 5-0 win...Was named ILPitcher of the Week for the week ending May 1 after his nine-inning no-hitter against Gwinnett...Was recalled by Baltimore May29 and was 0-3 with a 8.40 ERA (15.0IP, 14ER) in four starts before being optioned back to Norfolk June 24...Was named to the2010 International League All-Star team, but did not participate in the game due to his promotion to Baltimore...Went 3-0 with a1.74 ERA (20.2IP, 4ER) in three starts for Norfolk June 24-July 5...Was recalled by Baltimore July 10 and beat Cliff Lee (makinghis first start for Rangers) by allowing an unearned run in 7.1 innings of work on two hits and did not allow a hit until there was oneout in the seventh inning (was the first time an Oriole starter had gone as many as 7.1 innings and allowed two or fewer hits sinceChris Waters on August 5, 2008 at LAA (8.0IP, 1H))...The July 10 win snapped a career-high five game losing streak...Lost hisnext start for Baltimore (July 19) following the July 10 outing and was optioned back to Norfolk...Was 3-3 with a 4.50 ERA (42.0IP,21ER) in eight starts for the Tides from July 24-August 31 before being recalled by the Orioles again September 5...Went 1-1with a 4.18 ERA (28.0IP, 13ER) in five September starts for the Birds...Allowed nine home runs, six of which were solo shots andthree of which were to the leadoff batter in an inning...Walked 31 and struck out 31 in 11 starts for the Orioles...Finished the minorleague campaign tied for fourth in the International League with a 3.34 ERA and ranked in the top 10 in the IL in wins (T-fifth, 11),complete games (T-first, 2), shutouts (first, 2) and WHIP (T-9th, 1.24) at the time of his final promotion to Baltimore September5...Became the first Tides pitcher to toss two nine inning shutouts in the same season since Brian Bohanon accomplished thefeat during the 1997 season, and Norfolk had not had a pitcher toss two shutouts (either seven innings or nine innings) in thesame year since Dicky Gonzalez tossed two seven inning shutouts during the 2001 season...Led the Tides with 11 wins and wassecond in strikeouts (94) and ERA (3.34) among those who made at least 12 starts with the club. Spent the season with Double-A Bowie and went 11-4 with a 3.18 ERA (135.2IP, 48ER) and 154 strikeouts in 28 starts...Finished 5th in the league in ERA (3.18) & 2nd in strikeouts (154)...Went 7-3 with a 2.94 ERA (88.2IP, 29ER) before the All-Star break and 4-1 with a 3.64 ERA (47.0IP, 19ER) in the second half...Had 10 Quality Starts, including 5 straight (August 4-26), posting a 1.80 ERA (35.0IP, 7ER) in 6 starts that month...Allowed 3 earned runs or less in 25 of his 28 starts...Struck out a season-high 11 batters on August 4 vs. Binghamton...Named to the 2008 Southern Division All-Star Team...Named Organizational Pitcher of the Month for May (4-0, 2.53 ERA in six starts) & August (4-1, 1.80 ERA in six starts)...Named to the Bank of America Second Team All-Star Team. Was named Seattle's Minor League Pitcher of the Year after combining to go 7-11 with a 4.84 ERA in 28 starts at the Class-A level between Wisconsin and High Desert...Tossed 135.2 innings and struck out 139 batters...Was rated as the Mariners #2 prospect by Baseball America and as having the best curveball in the organization...Began the season with Wisconsin, making 8 starts...Picked up his only win with the Timber Rattlers, allowing 3 runs (2ER) on 3 hits in 6.0 innings on April 23 at West Michigan...Limited opponents to a .238 average while at Wisconsin, including a .217 (15-69) clip vs. right-handed batters...Was promoted to High Desert on May 23...Led the Mavericks with 105 strikeouts and tied for the team lead with 6 wins...Struck out 9 batters in 4.0 innings on July 17 vs. Modesto...Tied a High Desert team record with 13 strikeouts in 6.0 innings and became the first pitcher in team history to record that many strikeouts at home as part of a 2-1 win vs. Rancho Cucamonga on August 29...Went 4-0 with a 1.82 ERA (24.2IP, 7ER) in 6 starts in August...Allowed 3 runs or less in 14 starts. Combined to go 3-3 with a 5.28 ERA (30.2IP, 18ER) in 10 games between Rookie-level Peoria and Short-A Everett in his first pro season...Began his pro career with Peoria, appearing in 5 games in relief...Earned his first career save, tossing 4.0 innings and allowing one earned run on four hits on August 6 vs. the Royals...Was promoted to Everett on August 8...Allowed one hit in 6.0 innings while striking out a season-high 10 batters in his lone Everett win on August 17 vs. Yakima...Struck out 9 batters in 5.0 innings on September 2 vs. Vancouver...Participated in the Mariners Arizona Instructional League. November 2, 2018 RHP Chris Tillman elected free agency. August 25, 2018 Chris Tillman roster status changed by Round Rock Express. August 15, 2018 Round Rock Express placed RHP Chris Tillman on the 7-day disabled list. 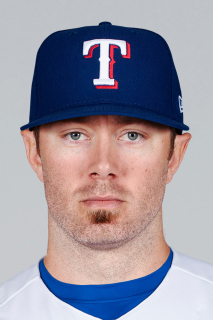 August 9, 2018 Round Rock Express activated RHP Chris Tillman. August 2, 2018 Texas Rangers signed free agent RHP Chris Tillman to a minor league contract. August 2, 2018 RHP Chris Tillman assigned to Round Rock Express. July 25, 2018 RHP Chris Tillman elected free agency. July 20, 2018 Baltimore Orioles designated RHP Chris Tillman for assignment. July 10, 2018 Chris Tillman assigned to Frederick Keys from Baltimore Orioles. June 30, 2018 Baltimore Orioles sent RHP Chris Tillman on a rehab assignment to Norfolk Tides. June 25, 2018 Baltimore Orioles sent RHP Chris Tillman on a rehab assignment to Delmarva Shorebirds. June 20, 2018 Baltimore Orioles sent RHP Chris Tillman on a rehab assignment to Aberdeen IronBirds. May 11, 2018 Baltimore Orioles placed RHP Chris Tillman on the 10-day disabled list. Lower back strain. February 21, 2018 Baltimore Orioles signed free agent RHP Chris Tillman. November 2, 2017 RHP Chris Tillman elected free agency. July 8, 2017 Baltimore Orioles activated RHP Chris Tillman from the paternity list. July 5, 2017 Baltimore Orioles placed RHP Chris Tillman on the paternity list. May 7, 2017 Baltimore Orioles activated RHP Chris Tillman from the 10-day disabled list. May 2, 2017 Baltimore Orioles sent RHP Chris Tillman on a rehab assignment to Norfolk Tides. April 27, 2017 Baltimore Orioles sent RHP Chris Tillman on a rehab assignment to Frederick Keys. April 22, 2017 Baltimore Orioles sent RHP Chris Tillman on a rehab assignment to Bowie Baysox. April 21, 2017 Baltimore Orioles sent RHP Chris Tillman on a rehab assignment to Frederick Keys. April 17, 2017 Baltimore Orioles sent RHP Chris Tillman on a rehab assignment to Bowie Baysox. April 2, 2017 Baltimore Orioles placed RHP Chris Tillman on the 10-day disabled list retroactive to March 30, 2017. Right shoulder bursitis. September 11, 2016 Baltimore Orioles activated RHP Chris Tillman from the 15-day disabled list. August 24, 2016 Baltimore Orioles placed RHP Chris Tillman on the 15-day disabled list retroactive to August 21, 2016. Right shoulder bursitis. April 6, 2013 Baltimore Orioles activated RHP Chris Tillman from the 15-day disabled list. March 28, 2013 Baltimore Orioles placed RHP Chris Tillman on the 15-day disabled list retroactive to March 22, 2013. Left abdominal strain. October 7, 2012 Baltimore Orioles activated RHP Chris Tillman. July 16, 2012 Baltimore Orioles recalled RHP Chris Tillman from Bowie Baysox. July 5, 2012 Baltimore Orioles optioned Chris Tillman to Bowie Baysox. July 4, 2012 Baltimore Orioles recalled Chris Tillman from Norfolk Tides. July 4, 2012 Chris Tillman roster status changed by Baltimore Orioles. March 31, 2012 Baltimore Orioles optioned Chris Tillman to Norfolk Tides. September 29, 2011 Chris Tillman roster status changed by Baltimore Orioles. August 12, 2011 Baltimore Orioles optioned RHP Chris Tillman to Norfolk Tides. August 6, 2011 Baltimore Orioles recalled Chris Tillman from Norfolk Tides. July 31, 2011 Baltimore Orioles optioned Chris Tillman to Norfolk Tides. July 30, 2011 Baltimore Orioles recalled RHP Chris Tillman from Norfolk Tides. July 30, 2011 Baltimore Orioles optioned Chris Tillman to Norfolk Tides. May 30, 2011 Baltimore Orioles optioned RHP Chris Tillman to Norfolk Tides. September 5, 2010 Baltimore Orioles recalled Chris Tillman from Norfolk Tides. July 20, 2010 Baltimore Orioles optioned Chris Tillman to Norfolk Tides. July 10, 2010 Baltimore Orioles recalled Chris Tillman from Norfolk Tides. June 22, 2010 Baltimore Orioles optioned Chris Tillman to Norfolk Tides. May 29, 2010 Baltimore Orioles recalled Chris Tillman from Norfolk Tides. March 30, 2010 Baltimore Orioles optioned Chris Tillman to Norfolk Tides. July 29, 2009 Baltimore Orioles selected the contract of Chris Tillman from Norfolk Tides.